Known for its natural beauty, quirky cafes and unique hangouts, Lake Mac offers some of the best regional backdrops for travellers seeking an inspiring instagramable adventure. Explore this unique location, capturing memories and creating beautiful content that will appeal to your followers, friends and family. Looking to add some colour to your feed? Getting snapped in front of any of the Creative LAKE artworks is sure to get your followers double tapping! Along Belmont and Toronto foreshores you will discover two 3D floor murals, where you can balance on an old wooden bridge while risking falling into what seems like an endless pit, or take to the high seas and battle a giant shark. These fun and immersive 3D images and optical illusions are in the classic trompe-l’oeil style – ideal for an artistic social media selfie. One of the most talked about locations to get a bite in Lake Mac, Greg and Audreys is the perfect place for the ultimate #foodenvy snap. Capture the delicious American style food, including their raved-about range of ice creams all made in-house (sundaes are served with a mini umbrella, sure to gain some extra likes!) and have your fans drooling. Snap a selfie in front of a panda, giraffe, snake or sea creature at Block by Block at Café Macquarie Mural and have your followers wondering if you’ve taken a quick weekend getaway to Melbourne’s famous laneways. This work of art in lively Lake Mac features a riot of spray-painted colourful creatures – you’ll have to strike a serious pose to stand out from this crowd…! Home to a heritage-listed mining village and a glorious beach twice named among Australia’s 101 best, Catherine Hill Bay boasts selfie-spots galore, as well as terrific surfing, fishing and swimming. Whether you take a pic in front of the shore break (a number of surf flicks have been filmed here), the iconic former coal-loading jetty (go black and white for true retro chic), in the village or while sunbathing in style, Catherine Hill Bay has long been a favourite with local photographers…but now the secret’s out! 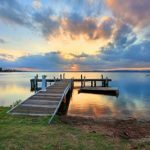 Enjoying an idyllic location on the eastern shore of lovely Lake Macquarie, Belmont boasts some of the region’s best delectable waterfront restaurants and a foreshore that’s a favourite for family picnics. 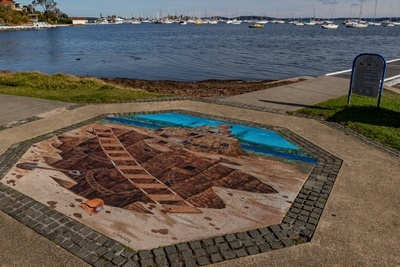 Home to the Lake Macquarie Yacht Club and Belmont’s wetlands – a haven for bird species and a favourite with cyclists and walkers – there are countless photo hotspots to fill your friends’ feeds. From the pathway in the midst of the wetlands or posing with a fishing rod at 9 Mile Beach, to a selfie with seafood dining alfresco or with sailing boats in the background at the yacht club…Belmont has it covered. Don’t forget to tag @lakemacqurietourism and hashtag #LoveLakeMacquarie to be featured on Lake Macquarie Tourism’s pages. Happy Snapping!